STRENGTH to keep up with those who love you. Sessions are limited to 12 people. This way I can offer you a perfect balance of affordability with personalised attention to help you focus on your individual goals. Kick start your day by exercising outdoors in the fresh air in the tranquil and picturesque grounds of Farm Vigano, located at 10 Bushmans Way, South Morang. Relieve your weekly stresses and work hard without even realising it, while doing a combination of strength training, cardio fitness, core strengthening, flexibility exercises and functional training. 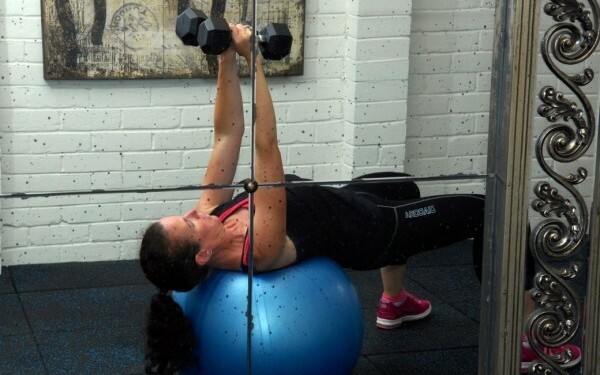 No two workouts are the same – you will never get bored of bootcamp! Child friendly environment. Please write me a note on your booking request if you intend to bring your children. All participants will be required to complete the Adult Pre-Exercise Screening Tool before commencing the bootcamp. ($2.40 from your session payment is directed back to the ongoing development of Farm Vigano for our local community to enjoy). Please note: Spots are not guaranteed, as sessions are limited to 12 persons. Prices will be pro-rated if you sign up during a term that is already in progress. You must book in for each one of your bootcamp sessions. Full payment for the term is due on or before your first session. To secure your spot TODAY click here or text Julie on 0410 578 477. You will need to purchase a voucher from the ‘access vouchers’ page via the online booking system and PayPal, then insert the code allocated to you into the booking system for each session. Booking and payment for each bootcamp session (deducted from your voucher total) is made via the online booking system. You will receive emails confirming your payment and each bootcamp session booked. Bookings are essential as all sessions are limited to 12 people. Call Julie on 0410 578 477 for more information or click here to send an email. I haven’t done any recent exercise, will I be fit enough to start? It can be very daunting starting an exercise program and it is very common for people to feel apprehensive about their level of fitness. This beginners bootcamp is designed for people like you who want to start exercising, but feel intimidated at the gym or an established bootcamp. The program will be structured so you can work at your own pace and choose which level of the exercise you feel comfortable with. I will be there to support you and offer professional guidance to help you get the most out of the sessions. This beginners bootcamp is exceptional value for money! Most bootcamps cost between $10-$25/session. Instead of paying for a permit to use a park, Studio 63 has chosen to use Farm Vigano as a local outdoor training venue and donate $2.40 from your session payment directly back to the ongoing development of Farm Vigano for our local community to enjoy. Unlike other bootcamps running, this bootcamp has a limit of 12 people per session. By limiting the number in each session, I can offer you a more personalised service, where you won’t be lost in a crowd! This includes more professional guidance on how to correctly perform the movements, improve your technique, monitor your progress and advance the exercises as you get stronger and fitter. The more sessions a week you attend, the cheaper the cost of each session gets and the closer you are to achieving your goals. 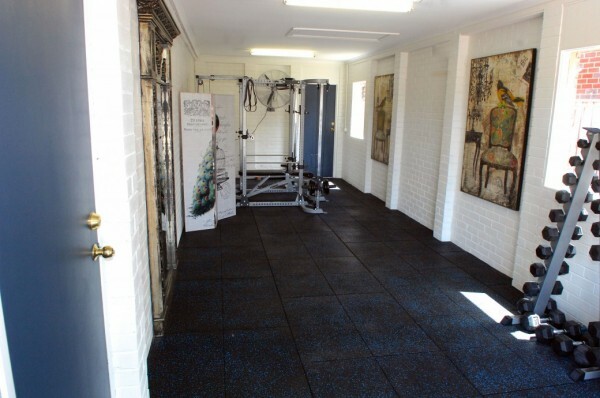 Unlike gyms, Studio 63 Health and Fitness has no joining fees, suspension fees or cancellation fees and more importantly no weekly membership fee! How many sessions should I be doing? As a beginner, it is important to remember when starting out you may feel sore and tired after the session or in the following days. With any exercise program, there are a number of factors to take into consideration when choosing how often you want to train. It is important to gradually increase how often you train, how hard you train, how long the training sessions are and the type of exercise performed to help you achieve your goals. Doing any physical activity is better than doing none. If you currently do no physical activity, start by doing some, and gradually build up to the recommended amount. Be active on most, preferably all, days every week. Accumulate 150 to 300 minutes (2 ½ to 5 hours) of moderate intensity physical activity or 75 to 150 minutes (1 ¼ to 2 ½ hours) of vigorous intensity physical activity, or an equivalent combination of both moderate and vigorous activities, each week. Do muscle strengthening activities on at least 2 days each week. Sedentary Behaviour Guidelines recommends minimising the amount of time spent prolonged sitting. Try to break up long periods of sitting as often as possible. I will notify you prior to the session commencing via phone or text message to let you know where the bootcamp session will be held. I understand sometimes things pop up and you need to cancel or change your booking. I kindly request 24 hours notice, so I can offer the slot to another client. You can cancel or change your booking online or feel free to contact me via phone or email. Unfortunately, if you cancel within 2 hours before your session starts, I am unable to offer you a new booking, refund or make-up session. Studio 63 Health and Fitness reserves the right to cancel sessions due to a lack of registrants or inclement weather. If I cancel a training session due to poor weather conditions, I will do my best to re-schedule the session. If you miss a session for any reason without notifying Studio 63 Health and Fitness, there will be no refund or make-up opportunity for that session. No training sessions can be carried over into the next term of bootcamp. No refunds will be issued in the event of your cancellation after the term session start date.